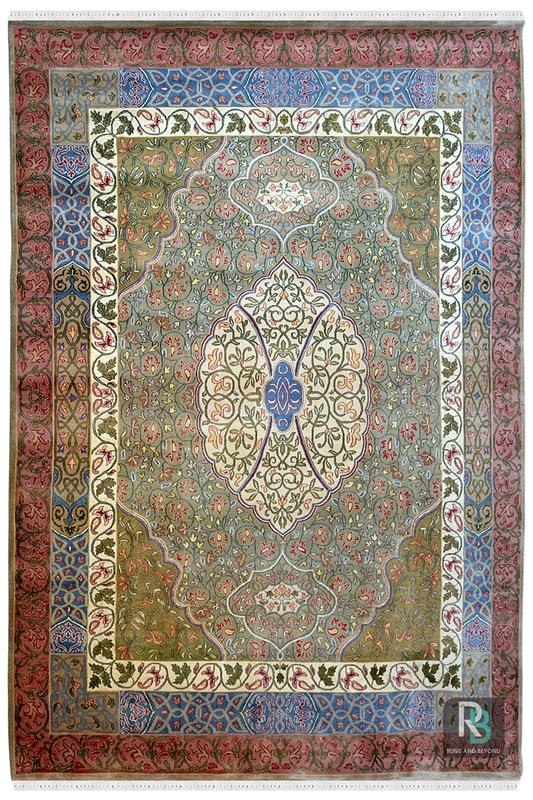 This beautiful handmade carpet is handwoven in hand-knotted technique. Due to the foundation of cotton and pure New Zealand wool, it is a highly durable carpet. With our rich industry experience and skilled workforce, our organization has been able to offer an attractive range of New Zealand wool area rug. We lay great attention to each detail of design and patterns; while manufacturing this beautiful rug. This carpet is woven using natural dye and solid colors. It has dual shades green on the ground of this carpet. It has a beautiful combination of blue, pink and green shades.